Can you guess how many heroic stories are yet untold? I bet that you’ve heard about Nikola Tesla. He was an extraordinary person: scientist, inventor, dreamer. He formed the world as we known it. There are a lot of mysteries surrounding him and there is quite a good reason for that. It’s hard to believe, but he saved our planet once! There are a lot of theories of what will happen if someone travels back in time and changes the past. Probably, this will change the future (or not). Probably that’s why we know Tesla only as a great scientist and not as the bravest superhero the world has ever seen. 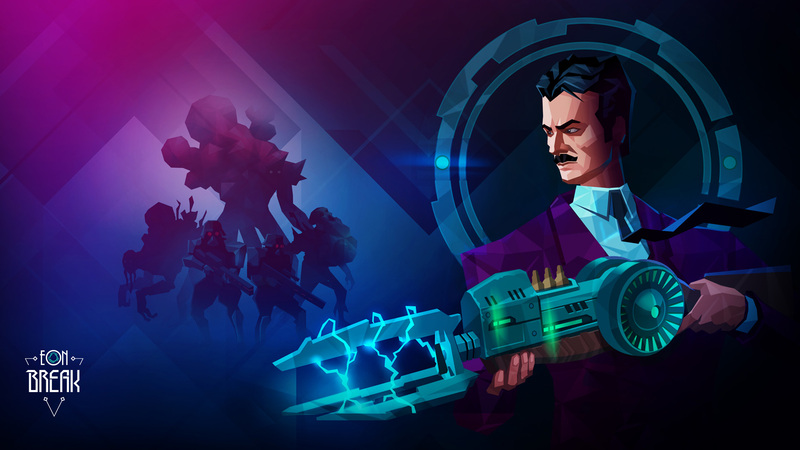 We – a small indie team named Glad Rock – will tell you the REAL story of Nikola Tesla. We started to develop Eon Break two years ago. We found a captive art style, defined really unique game mechanics and built a very cool prototype. But the more time we spent developing the game, the more we realised that we would not be able to finish it in the near future. You know the story – indie team working nights and all weekend long to create the best game ever. A Kickstarter campaign seemed like a chance for us to speed up the development process and reach the desired quality of the game. Just like Nikola Tesla, we’re dreamers and we believe that crowdfunding is a great tool for creative projects. Once we decided to do a Kickstarter campaign, we started to work even harder. Preparations for a Kickstarter campaign are not a trivial task. We watched hundreds of trailers, looked through dozens of articles and learned from stories of success as well as failure. It seemed pretty easy in the beginning: make an awesome trailer, design a catchy page, get enough audience on social media and – that’s it. In the beginning we thought that three months would be more than enough to prepare and launch the campaign. Boy, how wrong we were! Everything went quite smooth with social media: we shared amazing content and attracted around 5,000 people on Twitter and 9,000 on Instagram. Some people followed us on Facebook as well. We were sure that this is more than enough to have a great start on Kickstarter. The trailer was the most time consuming part. We turned into scenarists and producers. First iterations were similar to the first steps of a child… With subsequent iterations we received more experience, realising how we should handle it. However, every iteration shifted our schedule at least one week. Three months later we had a trailer and no voiceover. The video recording itself took place during one of the first sunny days in Minsk this year. Naturally, we all got sunburns, but it didn’t make us less happy when recording was over! The trailer seemed perfect to us (taking into consideration it’s our first trailer, anything better than crap would make us happy). Still we learned a very good lesson here – it’s better to record voiceover in the beginning and then record a video. We prepared the video first and it was really hard to synchronize voiceover afterwards. We hope that Kickstarter is aware that their page editor requires a LOT of fixes! And again: dozens of iterations, sleepless nights and fights for every word in the page. We were following all the best practices that we were able to find. We expected Kickstarter to approve our page within a week, but they did that unpredictably fast – in 10 minutes we were ready to roll out. We put it off for one day and finally slept the whole night long. Once we hit the Launch button and posted about the start of the campaign to our social networks, we expected that a huge wave of supporters going to back us on day one. Indeed some people supported us and cheered us up right away. However, things went far-far-FAR away from our expectations. We started analyzing what was wrong and what we could do to improve the results. We were surprised when we understood how many things we did wrong! We want to help everyone to launch a successful campaign and avoid our mistakes. So we’ll give you 13 hints on how to make a Kickstarter campaign. We wish we read this article before we started to prepare our campaign! You must understand the core advantage of your project. The core message shouldn’t be like “you’ll make blah-blah and blah in our game”. Neither should it sound like “that’s how blah and blah works in our game”. The main idea should sound like “that’s why our game is worth your attention”. Initially our message was “the game about Nikola Tesla bending time and space to fight Nazis and mushrooms”. It answered the “what” question – what player will do in the game. And we thought that idea of Tesla, Nazis and mushroom-stuff would grab people’s attention. But it didn’t. The internet is full of bold statements and phrases and audiences have developed a kind of immune system for that. Real attention is paid to ideas that share your values. So finally we decided to focus on the “why” question: “Eon Break provides old-school gameplay experience with a brand new mechanics”. We want our players to know why they will want to play our game – we want them to feel nostalgia while playing a modern game. It was a crucial mistake that we relied on the numbers instead of getting to know who are behind this numbers. A 14,000 strong audience seemed to be quite enough to launch the Kickstarter campaign. But the first days revealed that 99.9% of our followers would not support us at all. This happened mostly due to the insane amount of actions the user has to perform in order to support us while he’s using a mobile version of Twitter or Instagram. Here’s an easy, but effective method to understand what can you expect from your social audience: create a simple survey and ask them to take it. Here’s one more lifehack on how to find the most relevant audience (should be performed before the start of the campaign): search for similar projects on Kickstarter, check the list of their backers, find them in social media. These people will be the most valuable part of your community. That’s where our backers come from. “(direct) / (none)” are the mostly organic backers from Kickstarter. There are ~15 more sources in the list with even lower %. As was mentioned previously, we’ve built our community on Twitter and Instagram. We did no promotion on forums before the campaign launch. Imagine our surprise when forums gave several times more backers than all our social communities. Pay a specific attention to Reddit and Neo GAF. These resources were extremely valuable, however we were a bit late to build a community there. So, start talking with your community and build strong relationships on forums, before launching a crowdfunding campaign. We conducted a lot of experiments with traffic acquisition using ads. And we recommend you to not rely on that source of traffic. Youtube, Facebook, Twitter and Instagram showed really poor conversion results. Ads on Reddit performed better, but it only returned the investment without generating any profit. There’s still a great field for experiments, but if you are small and don’t have unlimited funds, there are much better ways to spend your time and money. There are quite a lot of press release agencies that suggest their help, but most of them are just taking money for nothing. The idea is old but still real. They ask you to fill out some kind of form or interview for free press release. Then they suggest you pay $50-$1,000 to bring thousands of users on your side. We’ve done research and weren’t able to find a single successful example of their work. So if you consider working with such an agency, then check if they have references to successful campaigns. We’ve learned about press releases and press kits after the campaign started. Another big mistake – all that stuff should be prepared beforehand. Building relationships with editors is a crucial thing. 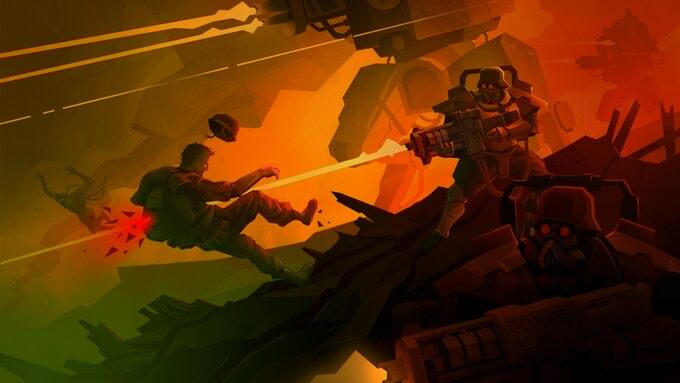 Prior to launching your campaign, you must find editors who are writing about games similar to yours and start communicating with them as soon as you’ll have something to show. Asking them for advice is a good start. They know the audience and their feedback will help you to understand your weak and strong points. Writing some articles in advance and having an agreement to share your news is what you need. This is the result of working with editors. 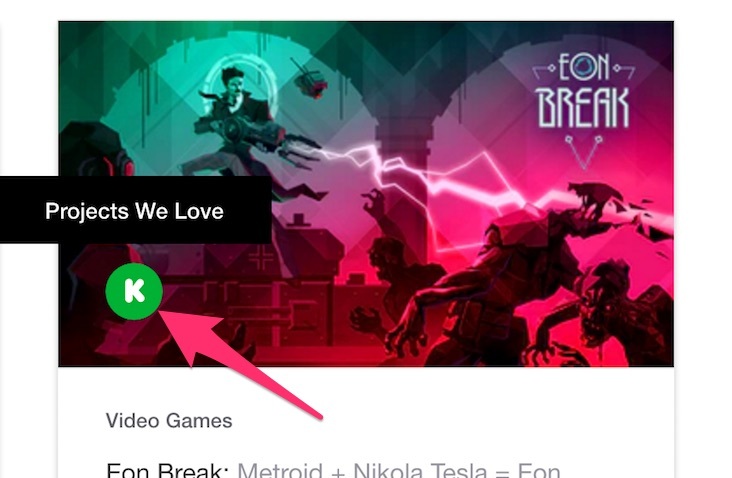 Kickstarter gives no concrete instructions on how to get featured. However if you follow recommendations, you’ll have better chances. We’ve spent tons of time to prepare the campaign and following every single recommendation. We weren’t featured from the very beginning, but finally received the Love badge in the middle of the campaign. It seems that there’s a fixed number of projects in every category that can be featured simultaneously. If that’s true, then your project may be featured once one of the current ones end. Our advice is to review the campaigns that were featured recently and see what they are doing better than you. That’s what featuring looks like. It was our biggest blunder. We launched a campaign one week before E3. Some editors responded that that they are on E3 and will be available in a week or two. A lot of editors paid no attention to our game, because of hundreds of bigger news stories from E3. Then another Summer Sale on Steam started. We chose the launch time based on the statistics of successful Kickstarter campaigns and didn’t check other factors. We encourage you to select the right time long in advance taking into consideration big events and releases and other factors that can drive attention from your project. Oh, and don’t start your campaign during summer. Never. There are a lot of good examples of how to assemble your campaign successfully. Pay close attention to any similar campaigns you can find to pick up ideas and best practices. Try to become friends with their creators – it’s not that complex, just drop an email and ask for feedback and advice. Pay a specific attention to the failed projects and try to understand what they did wrong. Try to make predictions for ongoing campaigns and then check the results. Also plan social activities with rewards that every backer will benefit from. Ideally, this will motivate people to share via word of mouth. The Trailer and rewards are the most important parts of you campaign. Make sure you did a good job preparing that. Take into account that an average backer brings around $20 – $30 on Kickstarter (most purchase lower tiers, but some get top tiers and raise the average). Double check whether your visitors have enough reasons to pay you more than just the lowest pledge. Kickstarter provides an ability to report the data from your campaign to Google Analytics. There is a lot of very valuable information: amount of visitors, purchases, traffic sources, etc. Google Analytics also provides an ability to create specific URL addresses for your campaign that will report the number of people who used this URL. You can find more information on the URL building here. Check these parameters: utm_source, utm_medium and utm_campaign. Here’s an example of statistics for a short period of our campaign. Other games that launched together with you can help you to reach new audiences. Make sure you find enough friends among them and do a cross promo. This is one of the best traffic sources, as these people are already converted to paying users. Even if you did everything right, you should be ready to fail. This can happen and it’s totally OK. Think of it as of an awesome experience – you’ve increased your audience, you’ve made new friends among developers and you’ve prepared promotional channels for your future projects! However do not give up early – a single post on a big resource can change the entire flow of your Kickstarter campaign. Make sure you are ready to fight for the very last second! We hope that our experience will help you succeed with a crowdfunding campaign, so we all will be able to hear more first-hand stories in the future. BTW, we are still hoping to successfully finish our Kickstarter campaign. You can check it here to see how we approached the above problems. We’ll be happy to see you among our followers and backers!